Various Blue colored flowers found in Valley of Flowers. There are many blue colored flowers found in Valley of Flowers. Some of them are listed here. You can comment at the end of the page. Local Name Meetha Vish, Mintha. Sanskrit Name- Vatsanaabh. Flowering time July to Mid September. But you will find it in Valley of Flowers only in late August to mid September. This picture was clicked on 4th September, 2012. Where will you find it in Valley of Flowers This flower is not so common in Valley of Flowers. But it is so prominent in color that you can not miss it if it is there in Valley of Flowers. We have seen it many time near the big rock (Generally people take rest under this rock) at the official starting point of Valley of Flowers. Other Information The word Aconitum is derived from word Acon means arrow.. In ancient times Greek hunters used to smear juice of the root on arrows for hunting. Flowering time July to Mid September. But you will not find it easily in Valley of Flowers. You can find them at Hemkund Shahib Lake in mid September. This picture was clicked on 19th September, 2012 at Hemkund Shahib Lake . Where will you find it in Valley of Flowers You can find this flower in mid September at Hemkund Shahib Lake and on the way to Hemkund Shahib (last one kilometer). Other Information The word Violaceum means which possess blue color. All parts of the plant are highly Poisonous. Locally the plant is used as narcotic and in treatment of scorpion bites. Flowering time June to September. But to see it in abundance you should visit Hemkund Sahib in first half of August. Although you may find some lonely flower till September end also. Other Information The word Aculeata means prickle. As the plant bears tiny thrones through out. It is also called as Queen of Himalayan flowers. The whole plant is used as a tonic. It is endangered. Roots are poisonous. Flowering time August to October. Since Valley of Flowers officially closes on 4th October every year you may witness this flower only up to 4th October. In fact this is one of the varieties which are available during this time (late September). Where will you find it in Valley of Flowers You can find this flower in the middle of Valley of Flowers. There is a colony of Cynanthus microphyllus just after crossing first river (with out bridge). Other Information The word Microphyllus means vary small leaves. The leaves are very small as compared to the size of flower. Where will you find it in Valley of Flowers You will find this flower at the middle of Valley of Flowers. Other Information The word Cyananthus means dark blue flowers. and Lobotus means lobed, referring to lobed leaves. saussurea-simpsoniana, Yogeshwar in Valley of Flowers. Other Information The roots are used in the treatment of male sterility. English Name Blue corydalis, Kashmir corydalis. Flowering time May to September. Other Information The word Corydalis is derived from Greek word Korudalos means Lark. Where will you find it in Valley of Flowers You will find it in abundance in Valley of Flowers. In fact it paints Valley of Flowers with its Blue-violet color. Geranium wallichianum. is one of the most beautiful flower in the Valley of Flowers. It looks more beautiful with due drops on it (Some time you can see this even after soft drizzle in day time also.) It along with Campanula Latifolia and Polemonium paints Valley of Flowers in Blueish purple shade. Other Information It is named after Nathaniel Wallich, a surgeon and botanist. He was involved in development of botanical garden Calcutta. Where will you find it in Valley of Flowers You can find it easily in Valley of Flowers provided you visit in its peak flowering season i.e. mid July to mid August. It paints the Valley of Flowers in its bluish shade. This flower is seen in huge colonies. You can find it easily near a big rock at official starting point of Valley of Flowers. You can find this flower easily in Valley of Flowers, provided you visit in mid July. You can find this flower easily in Valley of Flowers, provided you visit in mid July. It along with Geranium and Polemonium paints Valley of Flowers in Blueish purple shade. Other Information In the year 2012 we have seen and clicked a rare white Campanula Latifolia in Valley of Flowers it may be a result of gene mutation. Where will you find it in Valley of Flowers You can find it on your way just before crossing a wooden bridge at official starting point of Valley of Flowers. Other Information The word Macrorhiza derived from Macro means large and Rhiza means root stock, referring to large rootstock. Where will you find it in Valley of Flowers This grows in abundance in Valley of Flowers, but you may not see it if you don't know about the exact location. You can see it just after crossing a wooden bridge next to official starting point of Valley of Flowers. After crossing the bridge you need to ascend for about ten to fifteen meters and there on your left side slope you can see these beautiful berries hidden in leaves. If you visit before 15th July you may not see these berries but tiny and beautiful flowers. Other Information These fruits are edible. But please don't pluck them as doing so is not allowed as per India laws. The park is protected. Where will you find it in Valley of Flowers You can find it just hundred meters from the entry gate (Frozen river) of Valley of Flowers in June month. This picture was clicked in June first week, 2012. Other Information The word Pedicellata means with small pedicels or flower stalks. Where will you find it in Valley of Flowers You can will not find it in Valley of Flowers. But you can find it at Hemkund Sahib lake. On the other side of the lake you can find small colonies of this flower. This picture was taken in second week of September. Other Information Phyllocalyx means having leafy calyx / sepal lobes. Other Information Rootstocks contain poisonous chemicals like Irisin and Iridin. Where will you find it in Valley of Flowers You can find this flower in main part of Valley of Flowers (In open slopes). After entering the main part you can spot this flower easily among many others. Although this flower can be seen up to September but to spot it easily the best time is mid July to Mid August. Other Information The term Phlomis is derived from Phlogmos which means flame. The heirs on the seeds are used for the wicks. English Name Himalayanum Jacob's ladder. Where will you find it in Valley of Flowers You can find this flower easily in Valley of Flowers, provided you visit in mid July. It along with Geranium, Campanula Latifolia paints Valley of Flowers in Blueish purple shade. Other Information The plant was first used as a medicinal herb in ancient Greece. The ancient Greeks used the root to treat dysentery, toothaches and animal bites. The plant was also found in a few European pharmacies during the nineteenth century and was used as an antisyphilitic agent and to treat rabies. Today, the plant is usually used in potpourris and is boiled in olive oil to make black dyes and hair dressing, but it has few other significant uses. Where will you find it in Valley of Flowers You can see this flower even before reaching Ghangaria after crossing the helipad ground. Also it can be seen near to Ghangaria towards Valley of Flowers and Hemkund Sahib. You can see this flower in abundance in the month of July. Other Information Anemone is derived from Anemos which means wind. This flowers closes its petals in the evening and during the rains. Common name Fading Himalayan Aster, Lilac Himalayan Aster. Where will you find it in Valley of Flowers Aster albescens is found mainly from Ghangaria to Entry gate of Valley of Flowers in the month of July. You will find this flower in abundance and no need to worry for missing this flower if you are coming from mid July to mid August. The better chances are in upper half. The name aster means star and can be easily seen in the shape of the beautiful flower. This flower can be seen in background of Arisaema Propinquum. You can not find this flower easily inside the Valley of Flowers. Other Information Fading Himalayan Aster is a rambling shrub with rather large lanceshaped pointed leaves, and with numerous small flower-heads with prominent lilac ray-florets, borne in flat-topped clusters, up to 10 cm across, at branch ends. Flower-head are 8 mm across, ray-florets slender, disc florets yellow. The cup below the flower-head is bell-shaped with many rows of narrow bracts. Where will you find it in Valley of Flowers Aster Diplostephioides or Creeping Aster is found in the far end of the Valley of Flowers near and inside Pushpawati River Bed. You can find it easily in the month of July and up to mid August. Other Information Creeping aster is a low growing aster, and almost creeps. It is a neat clump forming plant producing large lilac mauve flowers from July to September. It has lance like leaves, which may be lost in the grassy growth of the surrounding. The word Diplostephioides means double crown, referring to the shape of the flowers. Where will you find it in Valley of Flowers You can find this flower after walking for two kilometers from the entry gate of Valley of Flowers. Other Information Himalayan Milk Vetch is an erect or spreading perennial hern, with rather dense rounded clusters of lilac or mauve flowers, borne on stalks usually longer than the subtending leaves. Flowers are often many in each cluster, each 1-1.5 cm long. Local Name गानॊबूटी Gaanobuti , नेपाली विख Nepali bikh in Nepalese. Where will you find it in Valley of Flowers Campanula Pallida or Pale Bellflower is generally not found in Valley of Flowers. You can find this flower on your trek to Ghangaria from Govindghat. This plant is found at an altitude of 1300 to 3000 meters. Other Information It is a much branched hairy-stemmed plant, about 15-60 cm tall, bearing lax clusters of small bluish-white or pale-blue flowers. Pale Bellflower is a beautiful wildflower, commonly found in the Himalayas at lower altitudes. Where will you find it in Valley of Flowers You can find this flower from Govindghat to Ghangaria. While trekking you may find this flower on your way. This flower is generally not available in Valley of Flowers. Other Information In China, the plant is used medicinally as a febrifuge, diuretic and anti-inflammatory. In Pakistan and Nepal it is used as animal fodder and also eaten by humans as a vegetable. It is also used medicinally as a laxative and to cure inflammations of the skin. In Nepal use a paste derived from the plant to treat burns, and treat indigestion with a juice produced from the roots. In general it can be used as vegetable by humans and as animal fodder. Where will you find it in Valley of Flowers This is on the flowers which are available in September also when most of the other flowers are in their last phase or already matured. You can see Erigeron Multiradiatus very easily at various locations in Valley of Flowers. Starting from the entry gate to the Pushpawati River bed you can find this flower every where specially in the month of September (first half). Other Information The term Multiradiatus refers to the presence of may radiating florets. Where will you find it in Valley of Flowers You can find this flower on the way to Ghangaria from Govindghat. You can find it on the sides of the trek to Ghangaria. 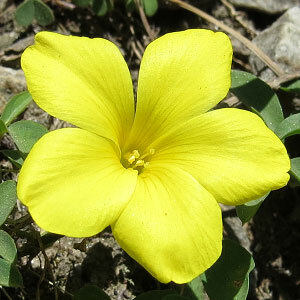 This flower is not found in Valley of Flowers as it is found at an altitude of 1300 to 1800 meters. Other Information The word Lactuca means milk bearing referring to milky latex present. Where will you find it in Valley of Flowers You can find Saussurea Piptathera near the Pusphawati River Bed in Valley of Flowers and near Hemkunt Sahib Lake. Other Information This flower is found at an altitude range of 3200-3800 m.